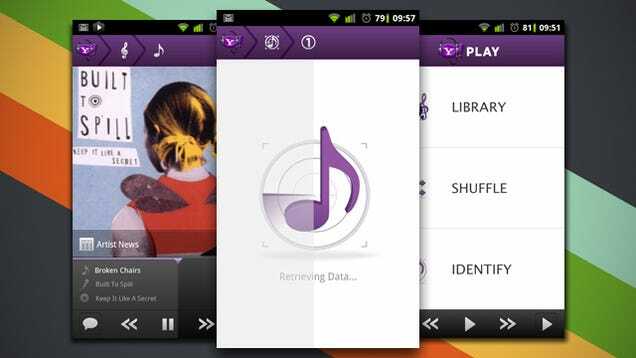 Yahoo Music for Android is normally not one of the first options an Android user considers when searching for an app that will give them access to good music. However, once you start using the app, you are likely to get hooked. Play is an Android App and is a perfect blend of playlist creation and music identification. While it may sound new, it is a typical music player that you can use to play the songs that have been stored in your device. This app gives users the ability to select a song from a library of their choice. Once they do, the app creates a playlist based on the user’s selection. This app also comes with an identification feature that resembles services by Shazam, which can categorize individual songs. At the same time, it has a continuous mode meaning that when the mode is on, it is able to ID each song that plays. When you first look at Play, the purple UI will most likely be the first thing you notice. However, looking past the overbearing color will allow you to appreciate the beauty of the app. This app is fast and probably one of the fastest music playing apps you will ever come across. If there is album art that has been omitted from the selection, Play will take care of that by grabbing it automatically from the internet. This app is also easy to use as it responds well to finger-touch. If you are listening to some music and then get bored, you can always keep busy with something else. Play gives you the option of reading information and updates about the artist you are listening to. This app is very accurate and also comes with a song identifying feature. This feature has extended listening options for identifying a number of songs at a go. Subscribing to Play is optional. As such, if you first want to give it a test drive before deciding, you can do so. All you need to do is buy music via a la carte without subscribing. Doing so gives you the ability to download various songs and even albums. You can even have them burned to a CD. Subscribing to the service gives you access to a plan that enables you to listen to your music of choice. The only catch is that you will have access to this music for as long as your subscription is valid. This entry was posted in Android Phone, Yahoo Mail, Yahoo Music on December 22, 2014 by Yahoo. Most Android users hardly think of Yahoo! Music when they think about music. However, the new app from Yahoo will change all that. With Play, you can listen to music just like any other music application. Nonetheless, Play gives an extra advantage of connecting straight to Last.fm and identifying your music. All these services are offered for free. Starting with the inviting royal purple color, you realize that Play is out to impress users. Play is fast and offers a sublime user interface with smooth transitions. Play will ensure that all your music has its respective album art by fetching it for you when you are connected to the internet. Your eyes will constantly be entertained, and your fingers will have no problem navigating the simple application. If you are bored, you can get all the latest news and gossip about your favorite artists from the News button that you will get on Play. The track identification feature is the main feature of Play. Play will generally offer you services offered by other applications like Soundhound and Shazam that identify songs. However, Play will not limit the number of songs you want to identify. You will not be charged even a dime, and you will get the option of listening for an extended period such that you can ID several songs consecutively. Its accuracy is closest you can come to perfection and chances are low that it will return an error. Play has a smart shuffle feature that learns its users’ tastes and preferences and will generate a playlist based on that as well as their mood, among other factors. This way, the listener will enjoy a more personalized playlist without any star ratings or thumbs ups that other music apps need to create a personalized playlist. This app also offers the user the luxury to view Facebook and Twitter status updates without having to log into the actual social network. Among the mailing services that have maintained their top position is Yahoo Mail. It also very popularity when it comes to offering both premium and free emailing services to customers. The premium version is called Yahoo! Plus and users pay around USD20 yearly. Most people use the free version of the application, which is sufficient for the most part. The user interface of Yahoo is quite easy to get around, and users can compose, send and read their email messages easily. It is amazing that Yahoo is now available for Android devices meaning that you can now have the application on your smart device. With your Android device, locate the Google Play Store. Once you open the app market, type in “Yahoo Mail” in the search bar at the top of the page. From the predictions that will be offered, select “Yahoo Mail – Free Email App“. The app will be opened then click on the “INSTALL” button. A list will pop up of the items it will need to access. Click “ACCEPT” . Once you do, the downloading process will begin, and once completed, the app will be automatically installed in your Android device. To access the app, you will need to sign in with your Yahoo email address and username or create a new account if you wish. Yahoo Mail allows users to have more than one Yahoo account on one device. You will also get the latest news and information from the news option. If you want to perform a web search, you can do so using Yahoo’s portal. With this emailing app, you can format your messages at ease with the different formatting styles that are available. Attaching images and files is a simple process that requires a few clicks and sends them instantly. If you are not able to chat at the moment, you can save stories to tell your friends later on. What’s even better is that you get local weather forecasts as well as live updates on the latest news if you live in the USA. Overall, Yahoo mail for Android is a great app that will allow you to access your email on the go. You will also be able to reply to important messages and download and upload attachments without the need for a PC. This entry was posted in Android Phone, Yahoo Mail on December 6, 2014 by Yahoo. While Yahoo has been well beaten on most fronts by Google, it is still a force to contend with. One of the most overlooked aspects of Yahoo is how good their Android Apps are. A case in point is the Yahoo Mail App. So what’s in it for users? This app delivers impressively sharp visual due to the innovative theme support. While the background is striking, it blurs out when you are going through your inbox. Once you pop out into the main menu, the app assigns a highlight color throughout the app. While you get a somewhat similar set up on the web, the two platforms do not sync. The icon set is minimalist and flat with smooth transitions. When you install Yahoo Mail for Android in your device you can access various other services from Yahoo. These include news, web search, sports scores, weather forecast, images and videos. You get all these without having to install any other apps. However, it is worth noting that most of these features are only available in the USA. With the app installed you can practically use your Android phone as you would use your PC. You can send and receive emails, attach and download attachments. You have access to a rich text editor to make it easier to compose messages. You can also include emoticons in your emails. The app also allows you to print out your emails and other documents right from the app. You can send the emails to a cloud or local printer. Every time you get a new email, you will get an instant notification from the app. While this comes in handy, it can also be a nuisance if you are in a meeting or do not want to be distracted. The good news is that the Yahoo Mail app allows you to mute notifications. Yahoo would have done better by making it possible to reply to emails through actionable buttons on the notification tray. For this reason, you are required to open the app in order to take any action on a message. User experience on Android tablet is superb. As with most apps, Yahoo mail is not all hunky-dory. It does have its faults. For example, it features an ad at the top that never goes away. This can be somewhat irritating for some people. While it does have the option of pulling in email from other providers, it does not work so well in practice. For example if you wanted to add you gmail account to the app, you will have to contend with the fact that the app polls on POP and not IMAP. This means your emails cannot sync. Nevertheless, you can add several Yahoo email accounts to the app. This entry was posted in Android Phone, Yahoo Mail, Yahoo Messenger on November 27, 2014 by Yahoo. If you own a Samsung Galaxy mobile device that is internet enabled, you have everything you need to access Yahoo. In general, Yahoo for your Samsung Galaxy device has a clean and user-friendly interface. One of the first things you will notice after you download Yahoo Galaxy Android app is its crisp, clean look. Previously, this app had a purple outlook that really stood out. Unfortunately, there was no way you could change that. Luckily, now you can change the purple look and use a color that is more to your taste. The theme you choose will be the backdrop for your messages. The good thing is that you have quite a number of choices for themes. You have over thirty themes to consider so rest assured you will find something that comes close to what you want. You will also notice a navigation panel that slides from the left side. This panel contains the controls of the app. This panel allows you to create mail or access existing mail folders. You can also switch between accounts and edit the app’s settings from there. If you are also using other Yahoo apps – for example, Weather, Messenger or Sports, the panel serves as a shortcut to the apps. Tired of always switching between messages? The app groups your emails into threads much like Gmail. Therefore, you can now reply to a message more easily. The app performs seamlessly and without lag and you get to open and close messages with ease. It also comes with a push notifications feature that allows you to get alerts as soon as there is a new message. When you compare Yahoo Messenger in the past and present, you will notice that you now have a richer texting experience. This app comes with formatting tools that make conversations lively and more fun. You can change the font of your message from the default font and italicize it. You can also underline, bold and change the text color. The size of the text can also be changed. Such formatting tools have made this app one of the most interesting to use for texting. While these tools may not sound like much, they have made Yahoo stand up to competing apps. This entry was posted in Android Phone, Yahoo Mail on November 25, 2014 by Yahoo. If you have a Galaxy device, you can easily access your Yahoo account straight from the device. Altogether, the Yahoo Mail for your Galaxy app is user-friendly, clean and comes with bonuses that make it feel like the desktop counterpart. The first thing you will notice when you download Yahoo Mail Galaxy for Android is its look and feel. Previously it came in a purple colour, but the app now allows users to pick a theme that will serve as a backdrop for the messages. Currently, there are more than 30 different themes you can choose from. It would also be nice to have the ability to include a custom picture for your inbox. The ingenious navigation panel slides from your left-hand side and has neatly tucked controls. It is from the panel that you can access existing or create mail folders, edit applications settings and switch accounts. If your device has any other Yahoo Apps installed such as sports, weather and messenger, you can get shortcuts to them via the panel. Messages can also be displayed as conversations in groups, in the same way threaded messages by Gmail are grouped. Yahoo’s conversations will make it easy for you to reply a message since you no longer have to jump from a message to look for the reply section. In terms of performance, you will not be disappointed by the mail app from Yahoo! Messages close and open without much hassle and everything else moves smoothly. The Push notifications feature is quite reliable. However, one let down with this app is the lack of a variety of syncing intervals. Composing new messages using Yahoo Mail is now a richer experience compared to other e-mail apps for mobile devices. This richer experience can be attributed to the formatting tools that come with this app. You can italicize, underline or even bold text, and you can even change the colour and size of the text to suit your personal preference. What’s more, you can include a Yahoo emoji in the text messages. While these formatting options may look insignificant, they do give Yahoo Mail an added advantage over other up-and-coming email apps. Using this app on a tablet is a joy. It has been optimized to make use of the screen area of the tablet. A narrow inbox messages panel takes up the left hand-side of the screen while the rest of the tablet’s screen acts as the dedicated pane for previews. This entry was posted in Android Phone, Yahoo Mail on November 23, 2014 by Yahoo. Yahoo Mail has, for some years, been rated as one of the best web-based mail services around. Yahoo is also one of the most popular mail services that offer both free and premium mail services. The paid Yahoo version is known as Yahoo! Plus, and users pay about $20 a year for the services. Not many people use the premium version as the majority of Yahoo users prefer the free version. When Yahoo is used to send emails, the use the graphic user interface (GUI) to compose the message, send it and even organize mail. There are times when a user may want to use the Yahoo mail for PC using the free version. Back in the day, premium Yahoo users were the only ones who could transfer their emails to their computers. However, all that has changed because now, free version users also have the ability to do so. This ability for the free Yahoo users can be attributed to Zimbra Yahoo mail programs. All Yahoo users understand that it is a web-based mail service. As such, all received and sent messages get stored in a Yahoo server. So, if you want to check your emails you will have to have access to internet connection and a web browser. The Yahoo GUI enables users to perform tasks such as composing emails and creating folders to save emails. This means that if you do not have access to the internet you will not be able to perform all these tasks let alone access the Yahoo mail service. You will also be unable to access your emails if you have problems with the login process. This need not be an issue any longer. You can now install Yahoo in your Android smartphone. This way all your emails will be saved in your phone’s memory. You get to receive your messages instantly on the go without the need for a PC. Better yet, you can access all attached files and even upload and send some. You first need to download yahoo APK. Once you have done this, copy it into your memory card. 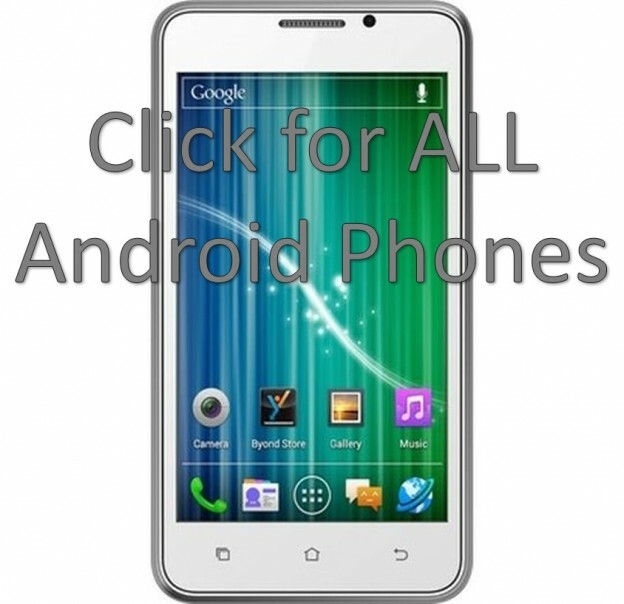 Download the Apps installer from the Android market. Once the app is installed, open it to view the APK files in your memory card. You can now install the Yahoo APK files. This entry was posted in Android Phone, Yahoo Mail, Yahoo Messenger, Yahoo Toolbar on November 19, 2014 by Yahoo. Today, it is virtually impossible to live without email. Email has made it easier to send formal communication and correspondence. It can also be used to keep in touch with friends and family. Little wonder why email services such as Yahoo Mail have so many users. Today, you can install Yahoo in your smartphone and access your email wherever you are and at whatever time. But before you can do this, you need to set up a Yahoo mail Account first. You can set up a Yahoo account for free. You only need to visit the Yahoo! website to get started. Click on the sign up button and provide the necessary information to set up an account. • Choose a user ID for your account. Your ID will be displayed whenever you send messages using Yahoo Mail. • Select a security question. This will help should you forget your password. Pick a question whose answer you are likely to remember. • Once the sign up process is over, you can now login into your account. Your account is now ready for use, and you can now send your first email. While you can opt to access your Yahoo Email on your browser, you can always install the Yahoo Mail app. It provides you with a convenient way of accessing, sending and drafting emails on the go. It basically allows you to work on your smartphone as if you were on a PC. To install Yahoo mail on your Android phone, you will need to download Yahoo Mail APK. Once you have the APK files, you will need to upload them into your phone. Thereafter, install an APK installer from the Android Market. When you fire up the app, it will detect the APK files saved in your phone and give you the option of installing them. Click install, and the app will do the rest. You can now enjoy your favorite email app on your phone. The Yahoo Mail comes with a host of features that are bound to keep you glued to it. Among them are a news feed feature that gives you the latest headlines as they happen. This feature is only available for US users. This entry was posted in Android Phone, Yahoo Mail on November 17, 2014 by Yahoo. This article gives an overview benefits that you will enjoy when you the download yahoo mail app. The Multi-talented Yahoo E-mail app is now even smarter. Now in Yahoo today, view your flight information plus get online real-time up-dates on flight changes. Also, see future activities which you can map directions to and easily share with buddies. Available in the US only. - FASTER: twice quicker and you’re always aware of new email with notification. How excellent is that? So excellent! - SAFER: Even better junk security. Yes! - EASIER: Fresh, simple style on your pc makes email a piece of cake. Faster email means more opportunity to do the things you love. That’s fun. Yahoo! mail is developed to make email a piece of cake. Try it. - Accessibility to all your Files, Sent Mail, and Connections from the Mail sidebar. - Navigate left or right in concept perspective to get around between messages. - Make new or add to current contacts by hitting on each current email address. - Bulk-sort your mail by choosing several messages at once. - View messages and articles content magazine-style with the Yahoo Mail app. This entry was posted in Yahoo Mail on October 24, 2014 by Yahoo.